Help spread the word! 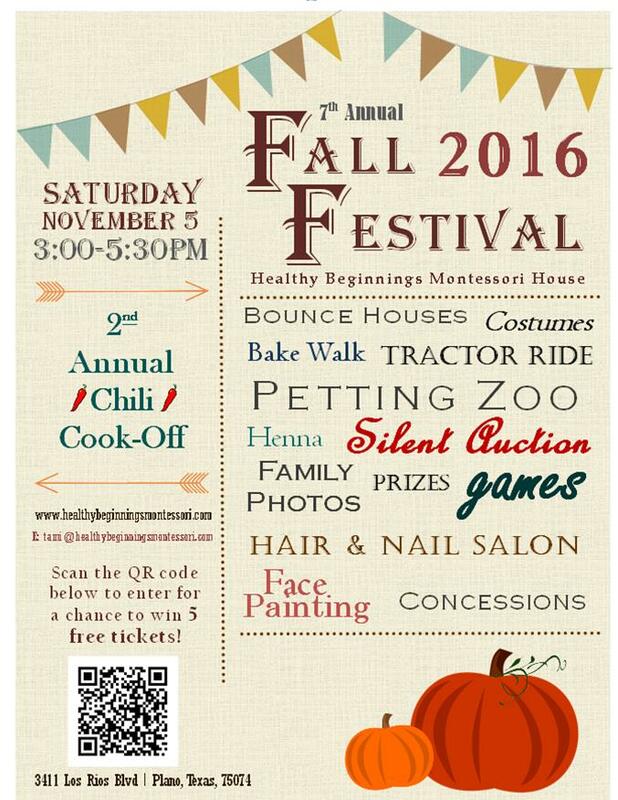 Our 7th Annual HBMH Fall Festival is coming up on November 5 and we’re super excited! This is a community event – everyone is welcome to come! Join us for games, prizes, tractor rides, bounce houses, petting zoo, and our 2nd annual chili cook-off! We hope to see you all there! It’s always wonderful when our teachers share their love of music with our students. This afternoon, we got the opportunity to listen to Ms. Marlie strum a few tunes on her ukulele, while experimenting with the strings ourselves. One of our friends even knew the names of all the chords! We played a few familiar songs, and even made up a few original tunes of our own. 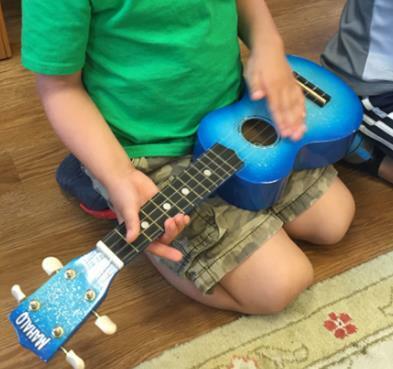 Music is a beautiful thing to share in the classroom. 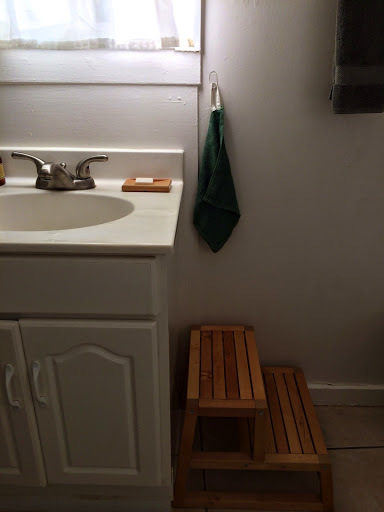 It allows for an opportunity to meditate, or self-reflect. 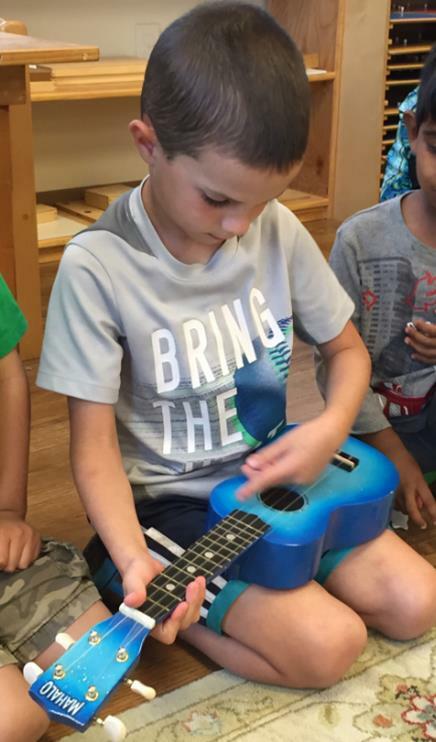 Music brings forth a great deal of concentration, self-discipline, creativity, and helps strengthen gross and fine motor skills (among many other things). 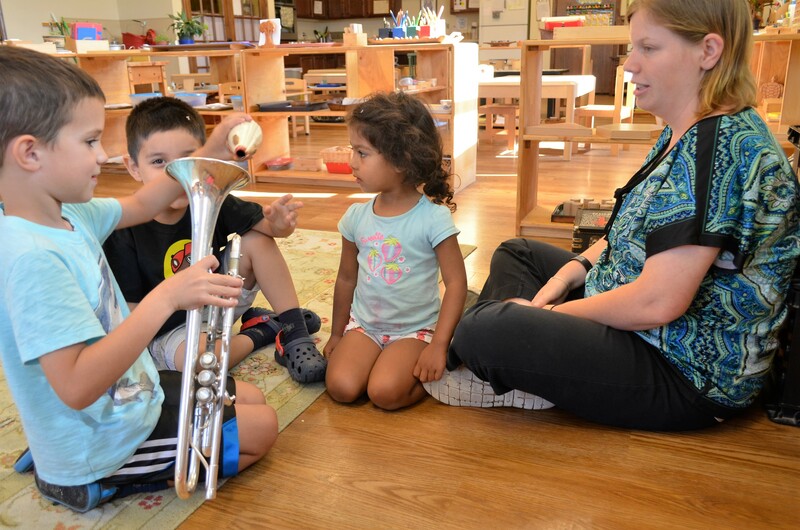 Find any opportunity to share music in your classroom, and at home! This week, and every day, we celebrate peace. 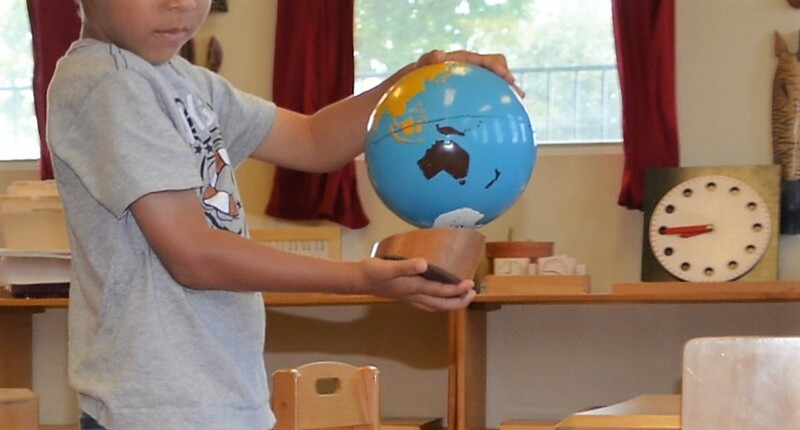 Peace is a fundamental principal integrated into our daily curriculum in the Montessori classroom. 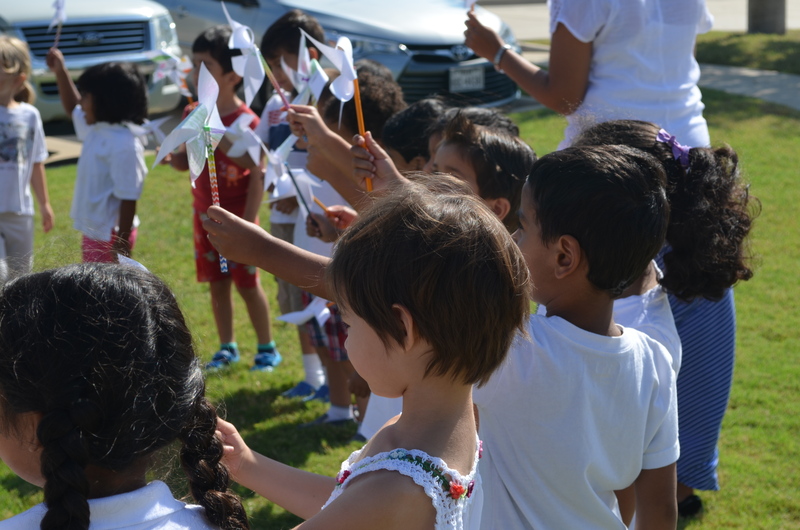 On Wednesday, we celebrated International Day of Peace. We talked about ways we can help be peaceful in the classroom and at home. 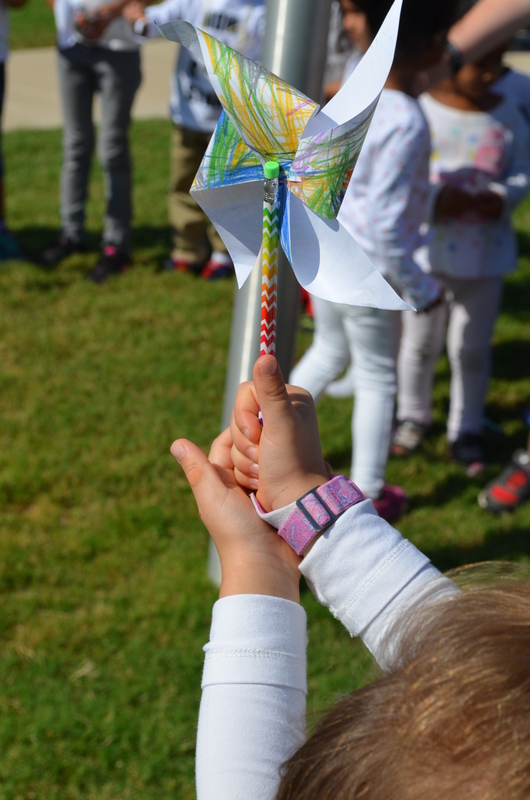 We made special “peace pinwheels” to carry on our peace parade. 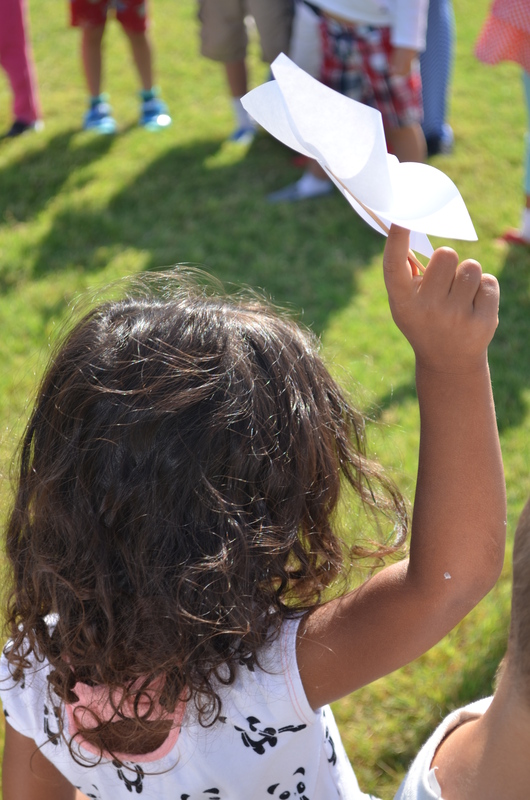 A few children pin-pricked peace doves or peace signs to help commemorate the holiday. We read books, practiced yoga, sang songs and enjoyed special works that promote peace and self-reflection. We started the morning with a special peace parade to the flag pole, where we sang the “peace song” and recited the peace pledge. “I pledge allegiance to the earth and to all life that it nourishes, all growing things, all species of animals and all races of people. 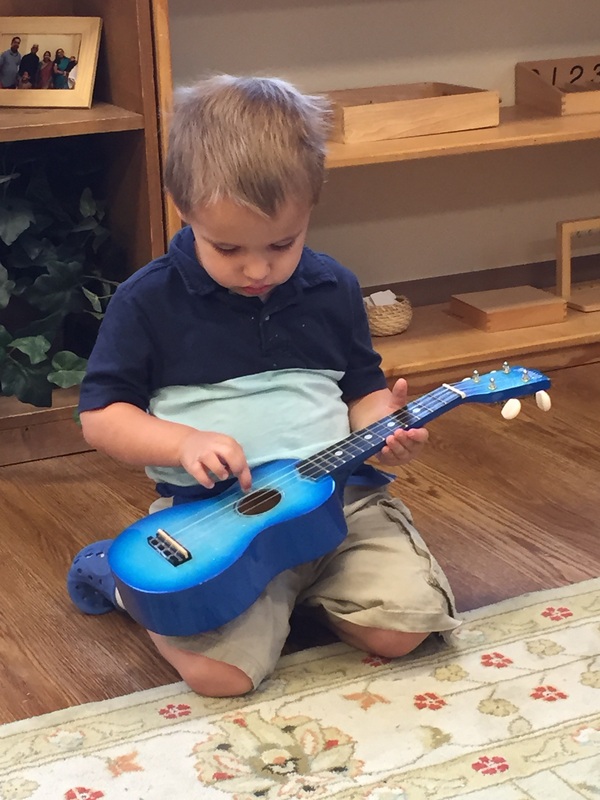 Did you know that children at Montessori schools regularly out-perform those who graduate from traditional schools? And that some of the leading innovators in the world, including Google’s Larry Page and Sergey Brin, Amazon’s Jeff Bezos and Wikipedia’s Jimmy Wales credit their ability to think differently to their Montessori educations? 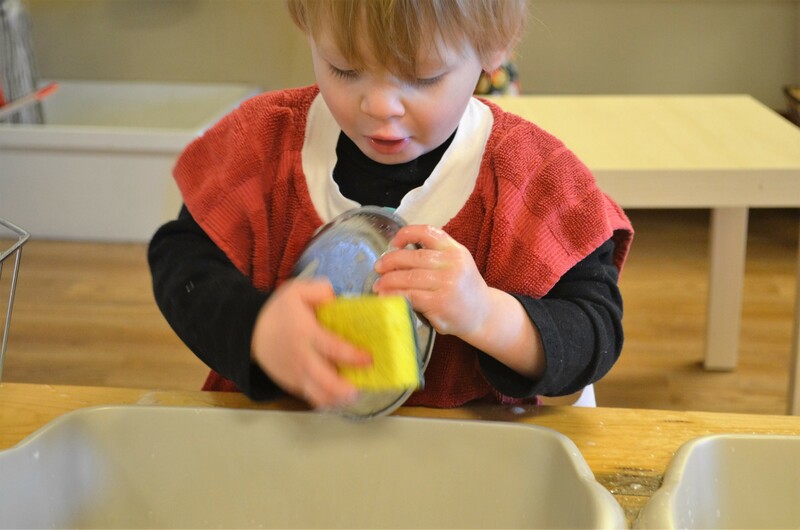 Founded in 1897 by Italian educator and physician Dr. Maria Montessori, the Montessori approach challenged predominant educational theories by giving children the freedom to grow, learn and contribute in the classroom. A few of our primary friends got to experience the musical talent of Ms. Marlie today! Sharing our passion with our students is a wonderful thing! 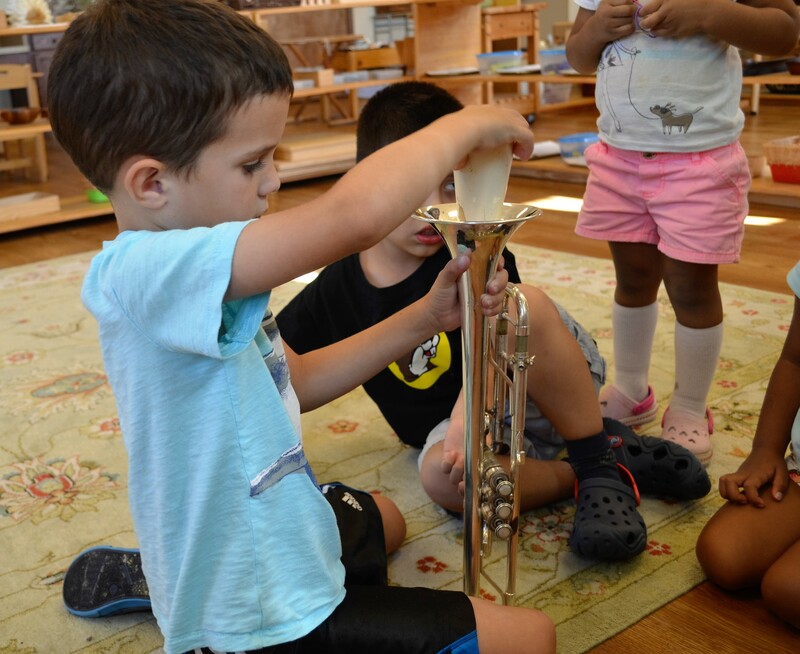 We got to listen to the different notes and scales produced by the trumpet, and feel it’s brassy exterior as the sound vibrated through the horn. We learned how a “mute” works by making the sound softer. Ms. Marlie showed us how to assemble and disassemble the instrument, and how to properly clean and care for all of its parts. 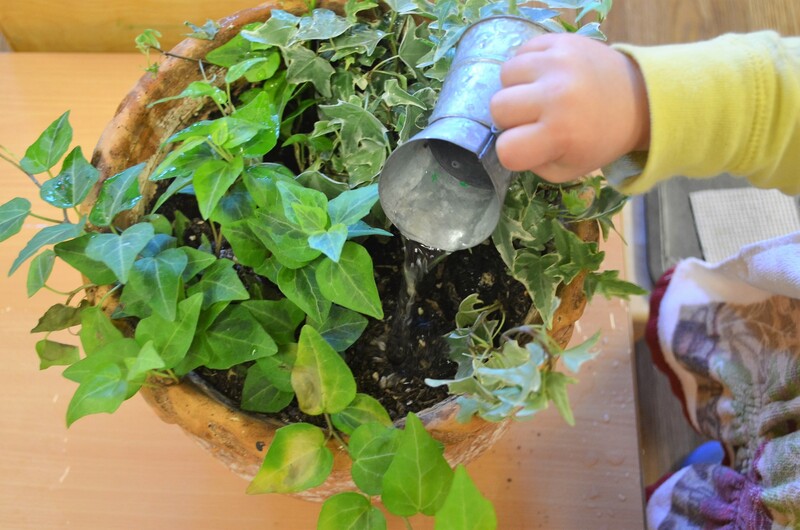 A child’s curiosity is a beautiful thing! I see a few musicians in the making! 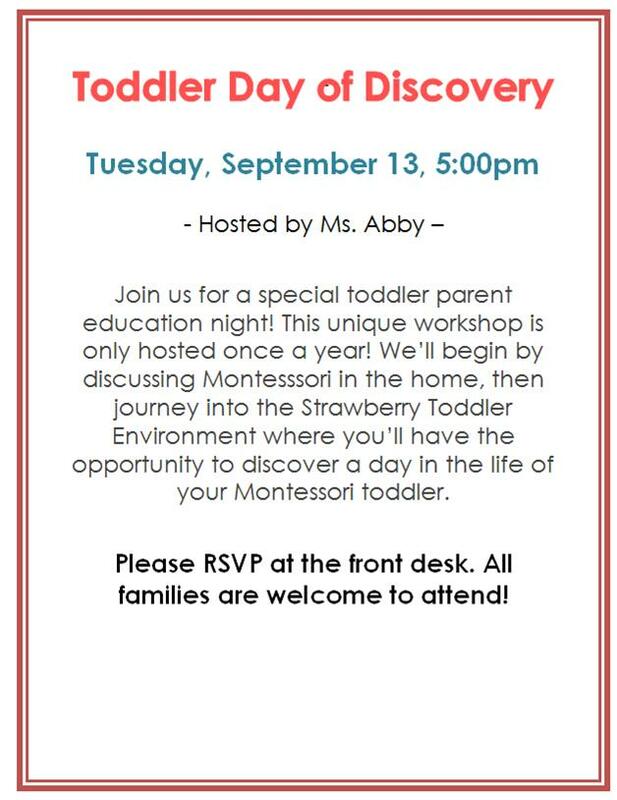 Come and Discover the Toddler Community at HBMH! 146 Times Around the Sun: Happy Birthday, Dr. Maria Montessori! 146 times around the sun; Happiest of Birthdays, Dr. Maria Montessori! Today is a day we celebrate the life and legacy of the most important, influential developer of the Montessori pedagogy. 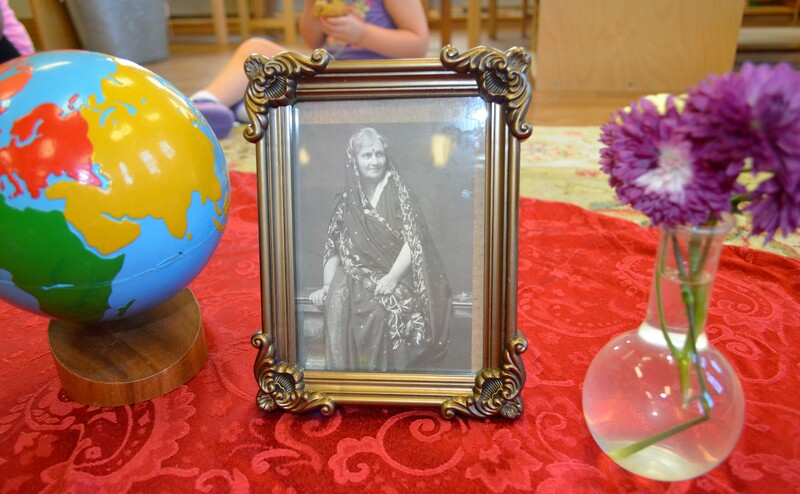 Our Primary community celebrated by participating in a traditional Celebration of Life for Dr. Montessori. A few friends were chosen to walk the earth around the sun, signifying the years of her life. Naturally, we didn’t make it around the sun 146 times, however we did talk about significant milestones in her life after each lap. Students were asked “What do you like most about Montessori?” One child said they thought she had good ideas about children. Another reflected on how she worked in a hospital. We learned lots of interesting facts today! 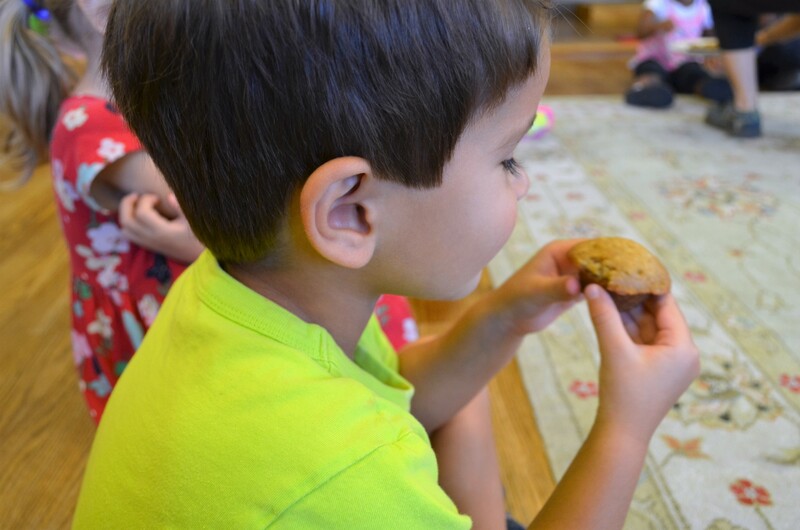 Following tradition, we baked muffins for the occasion, and shared them as a class. 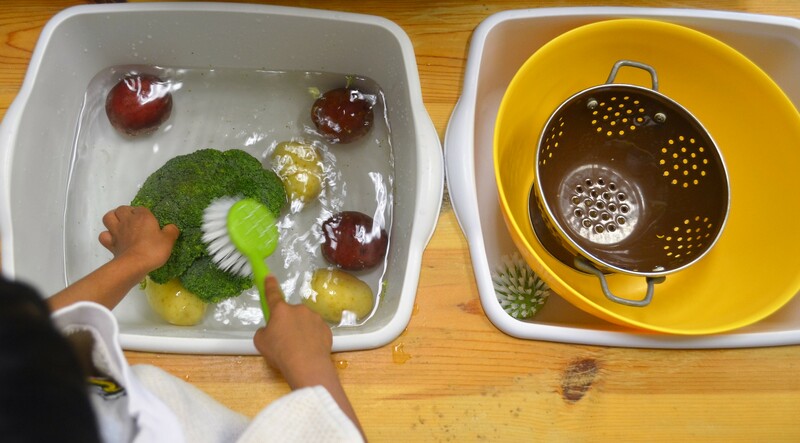 Dr. Maria Montessori spent a lifetime developing an educational method focusing on the way that children learn. This method is still widely known and practiced today. Dr. Montessori was born on August 31, 1870 in Chiaravalle, Italy. She later graduated from the University of Rome in 1896, becoming the first female doctor in Italy. She chose to focus on pediatrics and psychiatry as her specialties. Maria Montessori became the director for the Orthophrenic School for developmentally disabled children in 1900. It was there that she began her research on early childhood development. 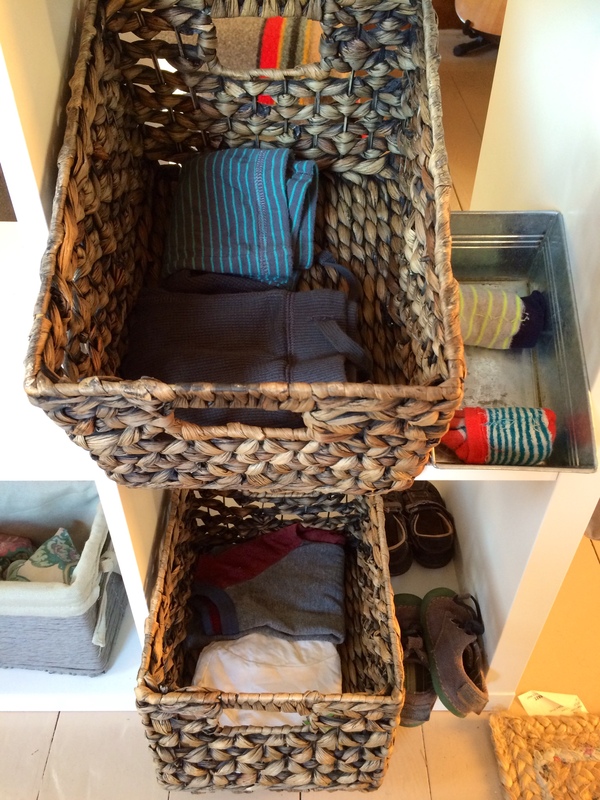 The first Montessori home was developed in 1907, called Casa dei Bambini (Children’s House). This is where Montessori first practiced her pedagogy, preparing each classroom environment to promote creative learning and exploration. Her methods soon became internationally recognized. 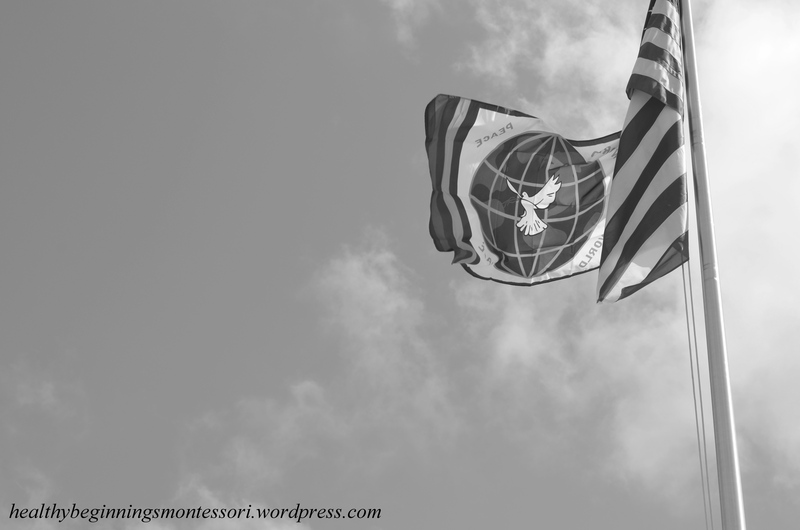 Around 1940, the Montessori movement began to fade, and Maria was forced out of Italy. She fled to India, where she developed a program called Education for Peace, which earned her two Nobel Peace Prize nominations. 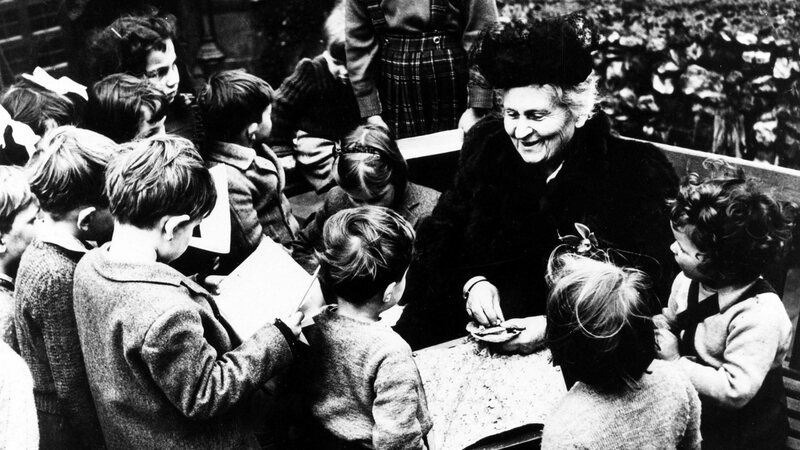 In the years following, Maria Montessori continued to advance her approaches to education. She lectured all over the world, documenting her theories in books and articles. She developed a program to prepare teachers in the Montessori method; through her efforts, her pedagogy was adopted worldwide. We’ve all been there. The first day of school is a mixture of emotions, both for parents and child. Mom and Huffington Post blogger, Susannah Lewis captures this emotional roller coaster in a hilarious viral video. Titled “Kindergarten vs. Every Other Grade,” the video shows how parents’ feelings about sending their kids back to school evolve over time.